Tools to process large folders of images or photos in many ways. Is there a better alternative to EasyBatch? Is EasyBatch really the best app in Image Editing category? Will EasyBatch work good on macOS 10.13.4? EasyBatch gives you powerful tools to process large folders of images or photos, in a simple and streamlined all-in-one interface. 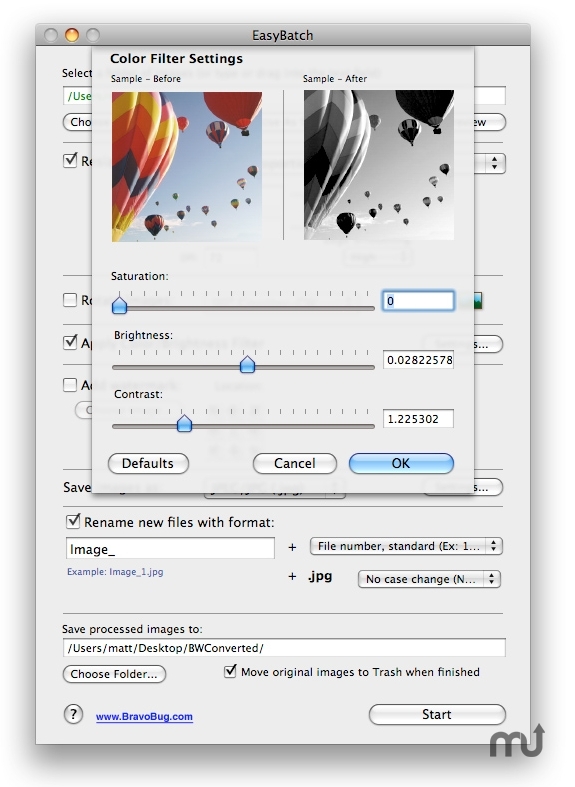 With EasyBatch, manipulating images is a breeze! EasyBatch needs a rating. Be the first to rate this app and get the discussion started!